Waugh, Edwin. Broadside. [drop-title] "Come 'Whoam' to thi' childer an' me." No place [Lancashire?, England]: , no date . Narrow folio (27.8 cm, 11'). p.
Single-click the image, for an enlargement.  Handsomely printed copy of Waugh's most famous poem, meant to be framed. Waugh was the son of a shoemaker in Rochdale and was one of the most successful of the Lancashire dialect poets of the 19th century. and went three times to church . . .” Whitaker, Evelyn. Miss Toosey's mission. Philadelphia: Henry Altemus Co., (1903). 12mo (19.4 cm; 7.625"). Frontis., [v]-xi, , 13–122 pp. ; 8 plts.  Charming decorated binding and black and white illustrations. Evelyn Whitaker was a children's writer whose stories are noted for their wholesomeness and sensitivity to the less fortunate. This example of her work features an elderly spinster dedicated to her church and to “the conversion of the heathen”; it is illustrated with a black and white frontispiece signed by Walter Cooper Bradley, and eight black and white plates all signed by George Reiter Brill. The elegant, minimally decorated binding evokes the movement towards simpler designs that began in the early 20th century. Binding: Publisher's green cloth with title lettering in yellow on front cover and grey on spine; front cover vignette of Miss Toosey walking along a fence in front of a series of flowers, stamped in white, black, and yellow. For a HORSE BOOK or two, click here! "Simple Pleasures" Wildman, H.B. Lays from the glen. Or, musings of leisure hours. New York: Pudney & Russell, 1855. 12mo. viii, , 9-144 pp.  Poems on nature, life, and death. PUBLISHERS' CLOTH GALLERY  click here. Wycherley, William. The complete works...edited by Montague Summers. Soho: Nonesuch Press, 1924. 4 vols. 8vo (26.5 cm, 10.4"). I: xiv, 269, [1 (blank)] pp. II: , 323, [1 (blank)] pp. III: , 299, [1 (blank)] pp. IV: , 281, [1 (blank)] pp. Presentation Copy  American Press in Athens Xenophon. [two lines in Greek, transliterated as] Xenophontos Apomnemoneymata. Athenais [i.e., Athens]: en toi ex Amerikes Philellenikoi typographeioi, 1832. 12mo (17.5 cm, 6.9"). 168,  pp.  Scarce edition of Xenophon’s Memorabilia, edited by Ludwig August Dindolt. This volume was printed at the Rev. John J. Robertson’s press in Athens, established as part of the first Protestant Episcopal mission in Greece. Robertson and the “enthusiastic Phil-Hellenist” Dr. John H. Hill (so described by the DAB) together inaugurated the mission, which was educational rather than proselytory in nature, and during which Hill and his wife founded a school still in existence today. Searches of NUC and WorldCat find only three libraries worldwide reporting ownership, and of those two (NYPL, Columbia) are in the U.S.
Provenance: Presentation copy inscribed to the Rev. W.R. Whittingham by the Rev. Hill, dated 1833 in Athens. Later in the Stinekke Maryland Episcopal Library (“Legacy of Bp. 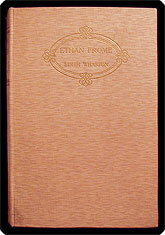 Whittingham”), with its attractive rubber-stamp and bookplate. Most recently in the library of American collector Albert A. Howard, small booklabel (“AHA”) at rear.